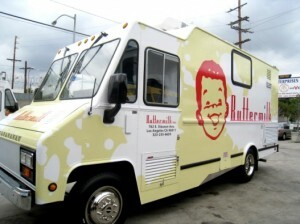 Buttermilk Truck – Los Angeles, CA (@buttermilktruck) – Food Truck Talk – Searching for the best foodtrucks! 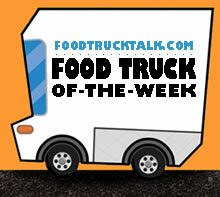 Congratulations to the Buttermilk Truck as FoodTruckTalk.com’s Food Truck Of-The-Week! There is no doubt, breakfast can be enjoyed any time of the day, or night! Los Angeles’ Buttermilk truck proves that by being one of Southern California’s most popular and long-standing food trucks. Gigi Pascual, the Buttermilk Truck owner, is proud that virtually all of her food is made from scratch (and love) and cooked to order. She LOVES breakfast, and wants to share it with you! 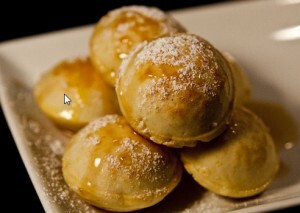 Perhaps the most popular item on the “morning menu” are the Buttermilk Pancake Bites. These spheres of buttermilk bliss are served with butter and syrup and are offered in a vareity of flavors including the often raved about red velvet chocoloate chip!! Not too sweet, but warm and delicious! For french toast lovers the Buttermilk Truck creates theirs from Hawaiian bread and adds cinnamon, powdered sugar and syrup to make a delectable taste treat. Two types of breakfast sandwiches are offered. Obviously the “Buttermilk Biscuit Breakfast Sandwich” made with fried egg and cheese with a choice of Applewood smoked bacon, tocino, or chicken apple sauce is a crowd favorite! Don’t forget to add the rosemary garlic hash browns to complete your meal. 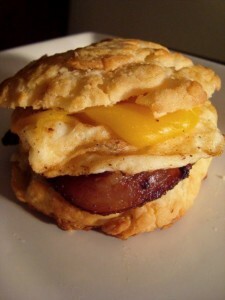 The Hawaiian Bread Breakfast Sliders include Portuguese sausage, sauteed onions and Shoyu scambled eggs. The Hawaiian bread as an alternative to English muffins, toast or bagels is a welcome change. To finish out your breakfast housemade cake donuts (fresh donuts are the best), omelettes, oatmeal and yougurt are also available. 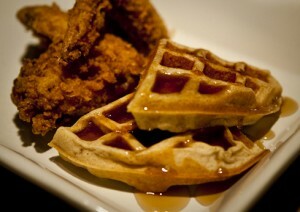 The “late night” menu includes items from earlier in the day plus a combination plate of fried chicken with cinammon waffles, topped with butter and syrup. The “Buttermilk Brick” is two eggs over easy, served with hash browns, buttermilk biscuit and housemade chorizo gravy! Did I mention the Red Velvet Chocolate Chip Pancake Bites? Oh, yeah, just had to make sure I reminded you of their uniqueness and deliciousness. Gigi and the Buttermilk Truck staff will welcome you any time of the day or night with freshly made buttermilk goodness!